We go through our day stressing about someone being rude, about the traffic, about our work. We get angry, mad, sad for things that would not matter in a day, two or a week. We think our problems are big and unique, but the reality is that we are all fighting the same battle, we all share similar problems. 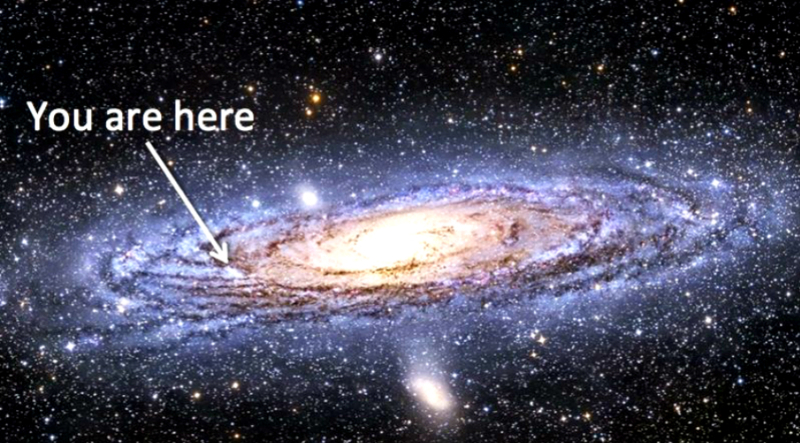 And in the grand scheme of things even our planet is a little speck of dust. We are within one solar system out of tens of billions of solar systems in one galaxy out of 100 billion. Some scientists speculate that as telescope technology improves the 100 billion can increase to over 200 billion galaxies. And that’s just in the observable part. If you look into the night sky and observe the infinite vastness you should be humble our planet even exists. Putting this in perspective, your problems are not that big. Humanity is not that big. Everything that ever happened, everything you know, is not that big. Every person who ever fell in love, every man, woman, child, every hero and villain, every animal, every legend, every story ever told, every war ever fought, all of it happened here. It happened on this little speck of dust, in the midst of the infinity. Every song, movie, painting, book, game, invention, technology was created here. We have this big chunk of knowledge about history and our planet and yet, it’s just one planet among more than trillion others. These other planets might have life of their own. They all have their own history, their own significant events and stories, their villains and their heroes. And for them, their problems are the biggest thing in The Universe, just like for us. They might stress over insignificant things also. They might think they are the greatest thing, or that they carry the main quest of The Universe on their backs. But on the bigger picture, we are all just dots floating in a pool of darkness. We are waiting to become aware of each other, or maybe we are really alone. Both of those scenarios are scary, and both are equally real. It tells us that we are just babies, the real adventure is still in front of us. Watch this video and you’ll understand.